Program Information: Mathematics competition for students in grades 3-12 that entails solving mathematical and logical problems as well as demonstrating the joy and excitement of mathematics. 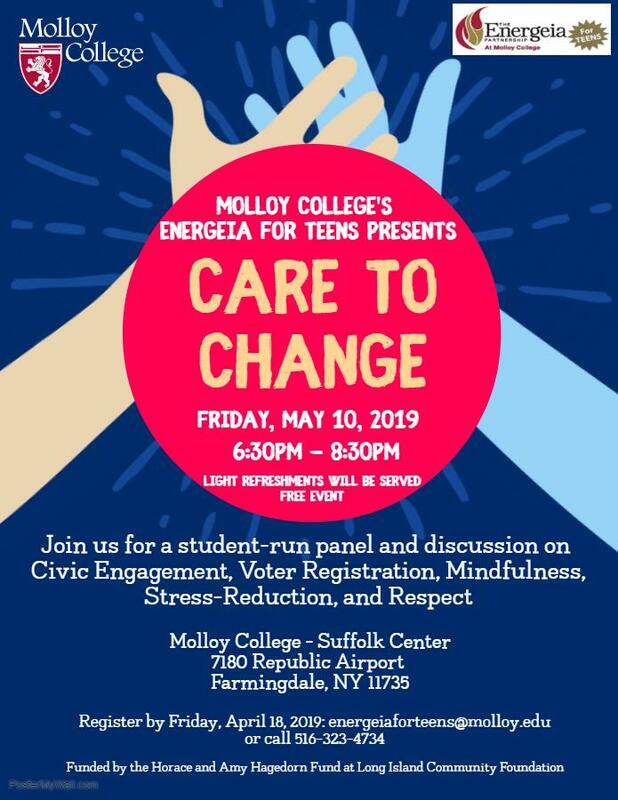 Program Information: Designed as a Long Island community service-learning model, Energeia for Teens at Molloy broadens classroom learning, helps students grow in their leadership abilities, and empowers young people to turn their passions into meaningful action that has impacted communities across Long Island. This year, Energeia for Teens members chose the topics of civic engagement; stress reduction/mindfulness and respect (self, others and the environment) as their key areas of focus. The forum will be highly interactive and allow young people to explore each topic, share strategies and identify ways they can bring this information back to their home communities. Resource information will also be available. Program Information: Please click here for details & Please click here for Program Flyer Applications are available in the Guidance Office. Please see Mrs. Gillespie. Deadline: March 13, 2019 (Application due back to the Guidance Office) Interviews held at SHA 3/20/19 P. 7. Mrs. O'Neill will follow up with additional details with interested students.